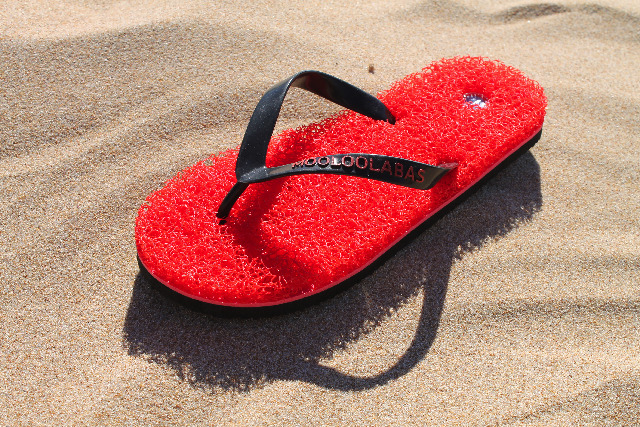 Got these Mooloolabas flip flops a few days ago and man are they com-fy! Not only are they stylish as you can see, they also have this loofa-like layer that totally relaxes (and tickles) your feet. Add this up to your holiday shopping list as they will hit the online shopping site Zalora in a few days. Will update this post as soon as the links as up! SRP is P1190 a pair and they come in a lot of different colors. So far I have the blue, gray and the two colors displayed here. Slippers come in US/UK sizes and there are designs for both men and women.